← Can You Teach an Old Goat New Tricks? I am currently reading a delightful book entitled Whistling Woman (Appalachian Journey). The listed author is C C Tillery, but the book is actually a collaboration between two sisters, Christy and Caitlyn, who have both authored books under their own names. In the book, they tell the story of their great aunt Bessie from her point of view. The setting is Hot Springs, North Carolina – in the heart of Appalachia. The time setting is late 19th Century. I was drawn to the book because of my growing interest in Appalachian culture (did I mention that I am learning to play Bluegrass Banjo? ), and also because Bessie’s great-grandmother is Cherokee. My wife and I will be going back to John C. Campbell Folk School in North Carolina this June, where I will take a week-long class in Banjo. As for the Cherokee connection, my ancestors were also Cherokee, and came from near that area of western North Carolina and east Tennessee. In one chapter, Bessie tells about attending a quilting bee. The quilting bee is for a young girl who is going to be married in a month. The young girl has spent many years sewing together quilt tops to take to her new home – there were 13 of them. The tops are mounted on frames, and the women sit around the frame and quilt them. Most people believe these are called “bees” because of the way the insects of the same name work together for the good of the hive. Some say that the word “bee” is a derivative of an old English word that means to cooperate. I’m going with the insect theory. 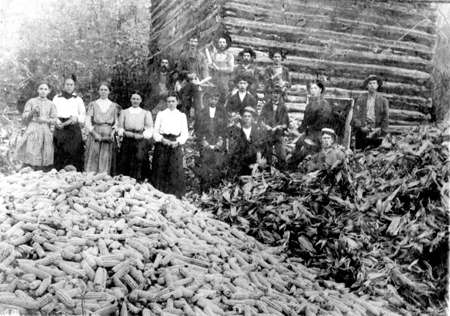 In yet another chapter there is a description of a corn shucking party, where people in the community bring prepared food in large quantities to be consumed after the shucking is completed. One of the traditions at this particular corn shucking party has to do with an ear of corn that has some of its kernels dyed red. Whoever gets that ear of corn, gets to choose someone from whom to receive a kiss. 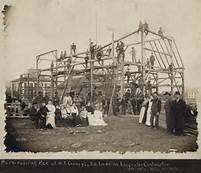 There has not been a mention in the book yet of a barn raising, but I am sure that was also a prevalent activity in that area during this period. 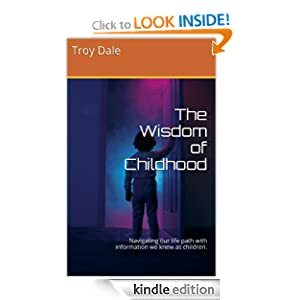 These descriptions started me thinking about similar community activities that I observed as a young lad of five in a small east Texas town, where my father was the new minister at the Baptist Church. This was his first church, and the first time my mother was required to perform as the preacher’s wife. A job she never liked. The first activity was called a “pounding.” I have no idea why they called it a pounding, since to my knowledge, no body was struck. But a “pounding” was quickly organized by members of the church shortly after we moved into the parsonage. 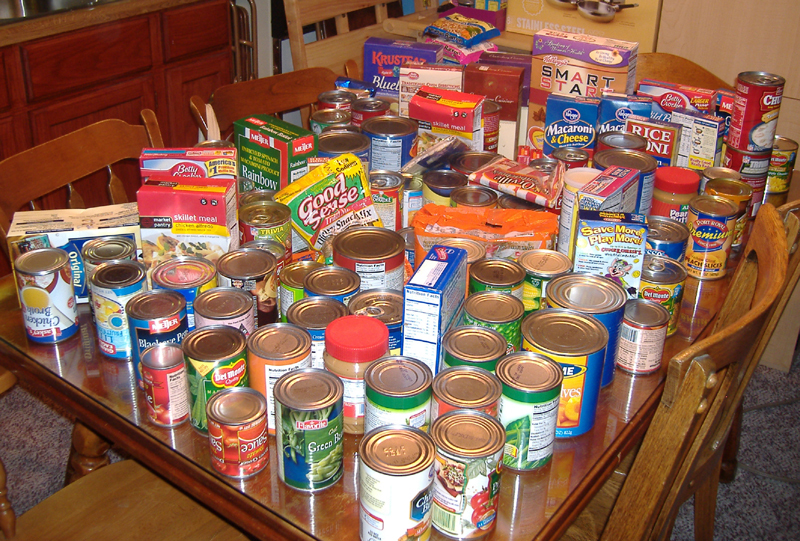 Members of the church came to the parsonage with loads of canned and boxed foods. I guess they were feeling guilty about not paying my father enough to buy groceries. My mother liked this part. Next came the “chicken dressing.” I don’t know if that is what it was called, but the name will do for this post. This was a gruesome activity, where several women of the church would gather at one back yard for the purpose of catching, killing, plucking, and dressing chickens. The most widely used method of killing was wringing the chicken’s neck. Since it would take a while for the chicken to actually die, it would be put on the ground to be retrieved later. The chicken would run wildly about the yard until the end. That’s where the phrase “Running around like a chicken with its head cut of” originated. Cutting off the head was the second most used method. 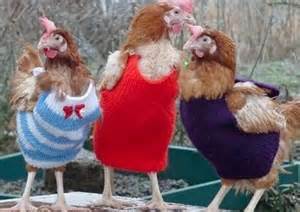 I don’t know why it’s called dressing a chicken, when it is obvious that the chicken is actually being undressed. My mother hated this. Then there was the “fox hunt.” Not the kind where all the gentlemen dressed in red jackets and rode with the hounds. This was the kind where the good ol’ boys took their fox hounds in the back of their pickups to the woods and set them loose to find and chase a fox, or possibly some other helpless creature. I was sitting on my father’s shoulders and listening to the baying of the hounds in the distance. 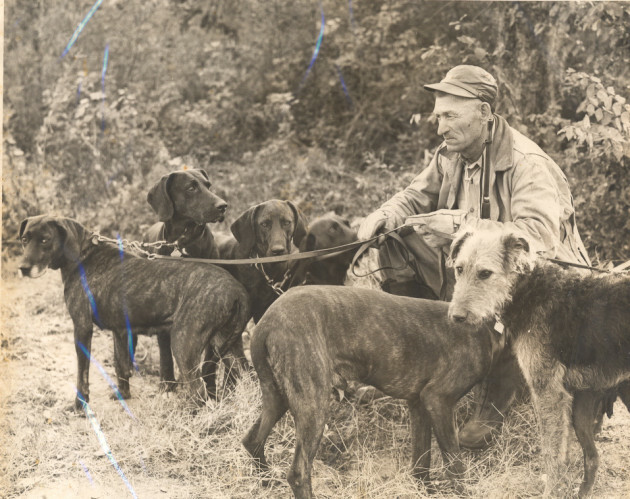 It was amazing to me that each of the men could recognize the sound of one of their hounds, and call them by name. I don’t know if a fox was ever caught, and what happened to it if it was. I really don’t want to know. My mother wasn’t there, but she probably would not have enjoyed it. Each of these activities has several things in common. They were all community centered and totally cooperative in nature. Most of the time they involved eating a lot of food. All of them were a sort of celebration, and there was abundant communication (gossip). They brought the community together. I think we could benefit from a revival of these activities – well maybe not the chicken killing. This entry was posted in Community and tagged 19th Century, Appalachia, Banjo, Baptist Church, barn raising chicken killing, bluegrass, celebration, Cherokee, corn shucking, fox hunt, foxhound, good ol' boys, gossip, John C. Campbell Folk School, minister, North Carolina, pounding, preacher's wife, quilting bee, Tennessee, Whistling Woman. Bookmark the permalink. Groups of people gathering for a common interest are a wonderful idea. 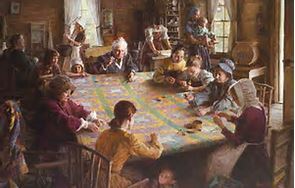 I have been a member of several and what I find is that it usually comes down to one or two people doing all the work and because of that, the others loose interest because “they have no skin in the game”. The reciprication is what seems to be missing in our society. Too many takers and the doers are getting worn out. I know I am! Just wanted to visit your blog and thank you for mentioning Whistling Woman and also for the wonderful comment you left on our blog. I enjoyed this post (and not just because you mention our book!) and have bookmarked your blog so I can come back and read more. It’s interesting you should mention a barn raising as that’s coming up in Moonfixer! I’ve never heard of “chicken dressing” but I remember Aunt Bessie and our grandmother (Jack in the book) chop the heads off quite a few chickens. Not a pretty sight! Anyway, Christy and I thank you for your wonderful words about Whistling Woman and we hope you enjoy Moonfixer! Thanks for the comment. I just read about the barn raising. The two of you write so well. I find it hard to put the book down, and can’t wait to come back to it. Thanks so much! So many people have commented on how well our voices mesh in these books but we can’t take the credit since when we were writing we often felt as if Aunt Bessie was sitting at our side telling the story. Hope you enjoy the rest of Moonfixer!